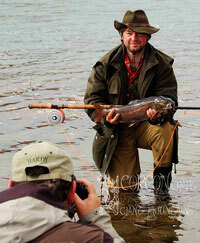 „Go Your own way, follow the still unbeaten path into the world of Fly Fishing and Outdoor. 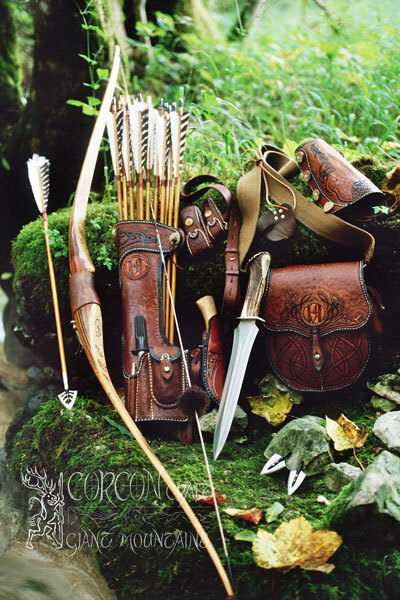 - Explore new hunting grounds, open the horizon to a forgotten world and re-discover Your own natural skills. 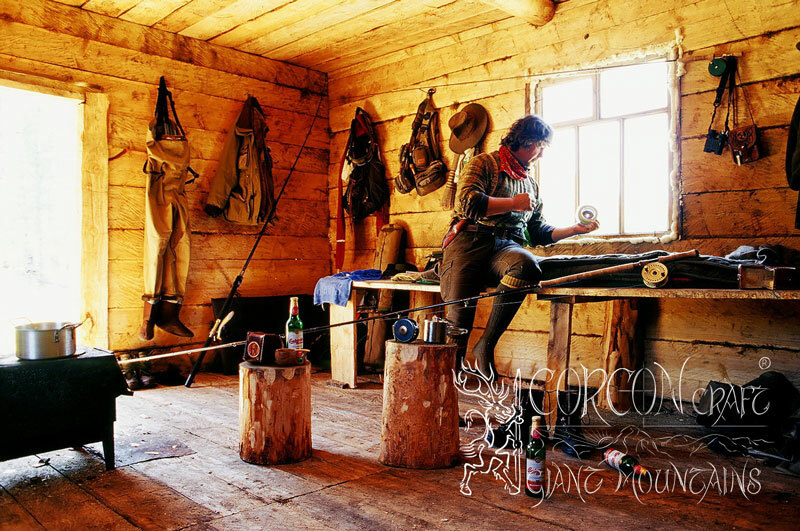 Master the Fly Rod and the simplicity of the Longbow and be safely guided to spiritual experiences in the Great Outdoors and to adventures, which You have just dared to dream about yet…..."
In the National Park Giant Mountains and in the Bohemian Forest, in the wilderness of Mongolia and Siberia, under the big sky of Montana and Alaska…..
…..with German and English speaking fishing guide Jan Haman of High Elbe in the Giant Mountains. Master Classes & Education in the advanced Fly Fishing, Fly Tying, Casting and the Czech Nymph fishing method. Teaching of Traditional Archery and natural instinctive shooting. Training camp and comfortable old world style lodge at the banks of the wild River Iser, - stark old Bohemian pubs in the Giant Mountains, traditional Czech cuisine and country style, original Czech beer and still affordable, East-European prices. Pristine rivers and well-stocked lakes and reservoirs in the lovely landscape of the Czech Republic. Fly Fishing for wild brown trout, large grayling and brook trout in the Giant Mountains, the Bohemian Forest and in the best fishing grounds of Czechia. - Short and comfortable arrival by newly built motorways within the European Union, or via international airport of nearby Prague, the golden city of historic Bohemia. 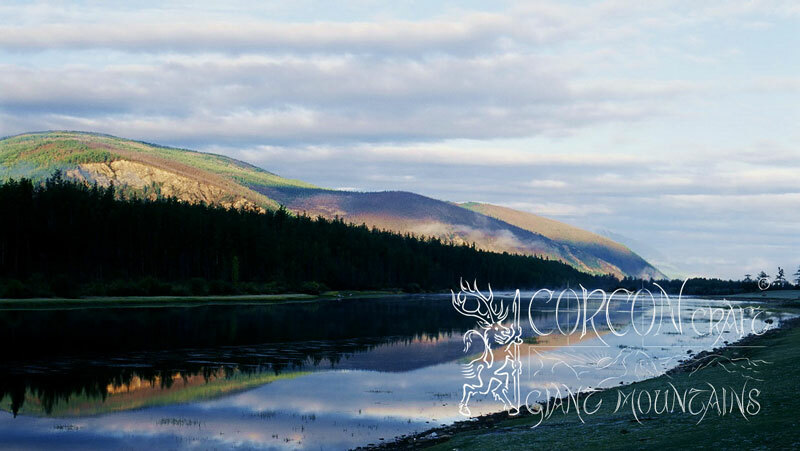 Fishing Tours & Expeditions for the demanding Fly Fisher and Traditional Bowman into the untouched wilderness of Northern Mongolia, for Giant Taimen and Lake Trout in the vastness of Siberia and Alaska, for brown trout fishing in the traditional West of Montana. Guiding and instructions at some of the best European fishing grounds in the Scottish Highlands of Sutherland, to Navarra in the north of Spain, in the High Caucasian Mountains of Georgia, and for Atlantic Salmon in the last backyard of Europe, the Far North of Norway, Finland and Russia ! Comfortable log-cabin camps and well-equipped fishing lodges. 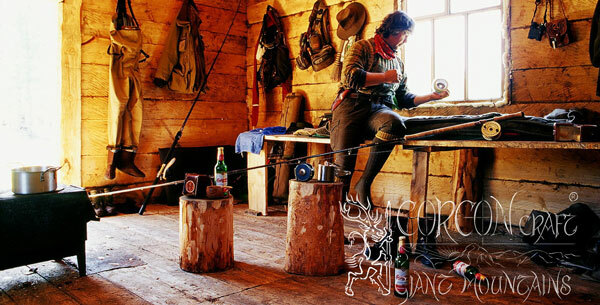 Professional Equipment for the serious angler, hunter and wanderer. Forged and handmade custom knives enhanced with artesian engravings. 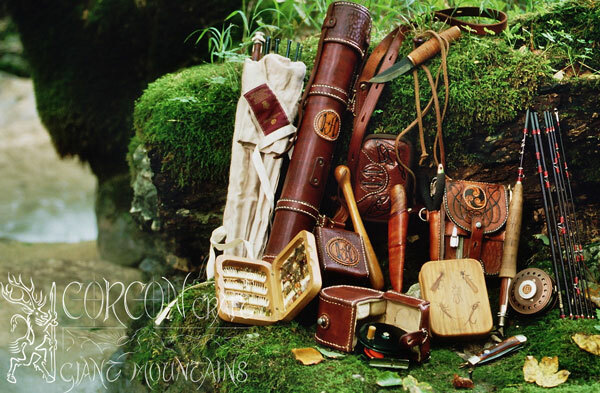 Robust and skillfully carved leather works with scabbards, quivers, bags and sheaths for rods, reels and knives. Custom made fly-rods and classic longbows individually build by bowyers and masters of their craft. Best quality fly-patterns tyed by competition anglers, fine art painted fly boxes made of split cane, wooden hunting arrows crafted by seasoned arrowsmiths and bowhunters. 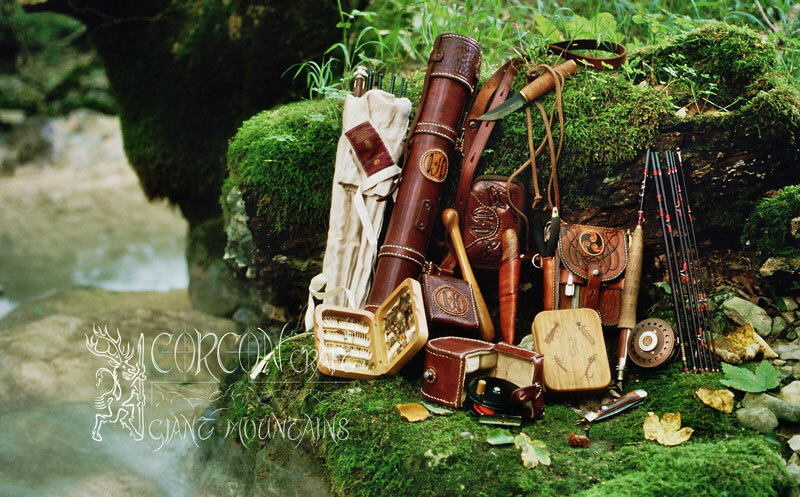 Traditional backpacks, angling bags, hiking boots, waders, hats and vests, fishing shirts, wading staffs, fishing & hunting tools supplied by famous English, German and American icon brands and Czech manufacturers. A long tradition of best equipment, which proofed themselves over generations of rugged good old boys. "- Only the very best equipment is just good enough for the serious angler and sportsman !" "- Go Your own way, follow the still unbeaten path into the world of Fly Fishing and Outdoor. 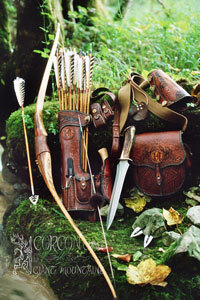 - Explore new hunting grounds, open the horizon to an old forgotten world and re-discover Your own natural skills. Master the Fly Rod and the simplicity of the Longbow, and be safely guided to spiritual experiences in the Great Outdoors and to adventures, which You have just dared to dream about yet....."